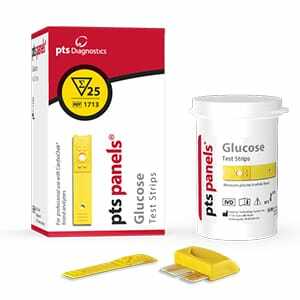 PTS Panels Glucose Test Strips are intended to be used to measure glucose in whole blood. 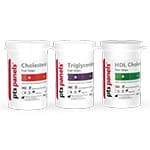 The Glucose Test Strips have a measuring range of 20-600 mg/dL and have an expected result value of 60-130 mg/dL. 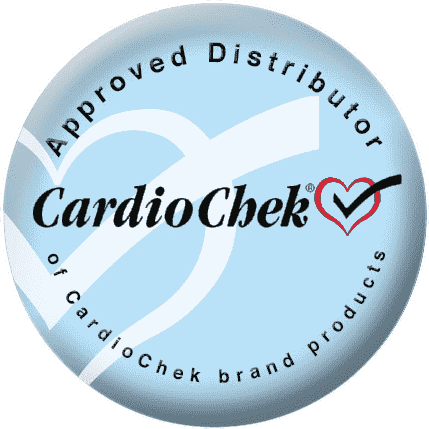 Glucose Test Strips are intended to be used to measure glucose in whole blood to measure glucose in finger stick whole blood. Glucose measurements are used in the management of carbohydrate metabolism disorders. A MEMo Chip is provided with each package of test strips and must be properly inserted into the analyzer before any test can be run. The MEMo Chip contains test name, calibration curve, lot number and test strip expiration date. After the test strip is inserted into the analyzer and blood applied to the strip, test results are displayed in about a minute.